This is the beginning of the last week of school for us. Just 4 days left and frankly, I am freaking out. I don’t have all the projects done that I wanted to accomplish during the school year. I don’t have everything figured out for our summer yet. In years past, I had given the days of the week a theme and lined up crafts and activities for us to do each day. But, the kids are older and busy with sports and camps and other activities with their friends. But, I still need to have some ideas ready for rainy days and ideas for our youngest. I know it will be a busy summer and I want to be sure it is one of our best! Some of the ideas from this calendar that I am excited about involve cooking. This summer I want to spend some time cooking with our older boys to help them get ready to be a bit more independent. Another activity that definitely has me curious is June 19 – Watch Raisins Dance. With something scheduled for every single day, you won’t be wondering…what should we do today? If you have younger children and want to make sure your days are full of fun and not just full of sitting in front of technology or the TV, then I have the perfect planning tool for you. The 2013 Confident Mom Summer Survival Calendar and Action Guide is exactly what I would have been looking for when our kids were younger. Even though our kids are 13, 11 and 8, there are still several ideas I am taking from this calendar to work into our summer. There are even ideas I can carry into the school year with the after school program I run. Susan, of The Confident Mom has done all the work for you and makes it easy to have the best summer ever with your kids. The calendar is downloaded immediately to your computer and can be saved there and/or printed off for your convenience. By, saving it to your computer, each day’s activity includes links to a recipe or website for how to do that activity. Like I said, The Confident Mom has made this as easy as possible for busy moms like you and me. Even though this calendar starts with the month of May, there is still plenty of time to work in the numerous activities for your summer. Don’t delay and purchase this calendar today! For $7 you can get 2013 Summer Survival Calendar AND the Action Guide. You will never have to hear “I”m bored!” again! The best deal includes 4 years of Summer Survival Calendars and the Action Guide for just $10. Check out this summer calendar now and get your summer started wit h a bang! Click HERE for all the information. 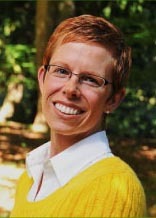 Susan Heid is the creator of THE CONFIDENT MOM. She is impacting the lives of many women, including mine, with her advice, support, praise, and confidence building tools. She isn’t a perfect mom and doesn’t expect you to be. She understands the stress and overwhelming duties that go along with being a mom and has a passion for helping moms make small changes that can make a big difference in their home. I was given the Summer Survival Calendar and Action Guide for free in order to offer this post. This post contains my honest opinion about The Confident Mom and her products. As an affiliate, I may be paid a small amount for products purchased through the links in this post.